The Pilgrim Story is a new online course offered by Dayspring Christian Academy. The class is taught directly to the student, is self-paced and interactive. It teaches the true history of the Pilgrims from original sources. Not only do students learn history they also learn the biblical principles of Christian liberty, the importance of Christian character, self governance, hard work, and perseverance. 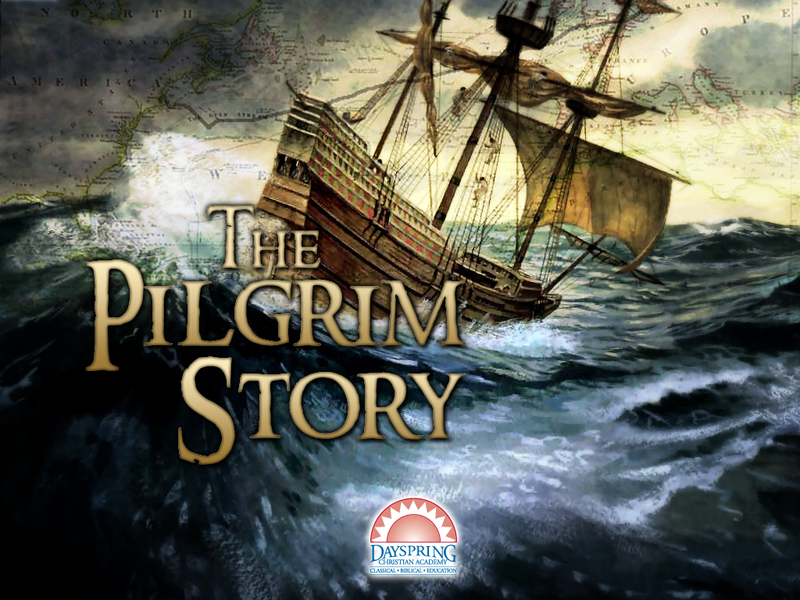 Dayspring Christian Academy uses the Principle Approach to teach children in grade 3-6 The Pilgrim Story. Registration for this course is $99.00 for a six month access. The program is divided into 5 Units, an introduction, and a Virtual Field Trip. Each lesson should take around 30-45 minutes plus extra time to complete the activities. When we first logged into The Pilgrim Story we went straight to the introduction. This section went over how to use the program and how to navigate the clips. We got to meet the teacher, and learned how to set up our student notebooks. Each day we logged in we would select our lesson from the topic outline. That would take us to our lesson like the one below. At the bottom of the screen there are tabs to show you the contents of the lesson, contact information of Dayspring, and the resources that will be used for this lesson. There is a play/pause button at the bottom right of the screen (not visible here) to pause the lesson, or click to the next one. You can also navigate the lesson portions under the content tab. In the resource tab you can print or download the worksheets, vocabulary lists, quotes, and directions to activities. The lessons are series of slides & they are set up the same way for each day. There is an introduction to the lesson, review of previous lessons, vocabulary, parts of the lesson, a review of what was just learned, and additional resources. 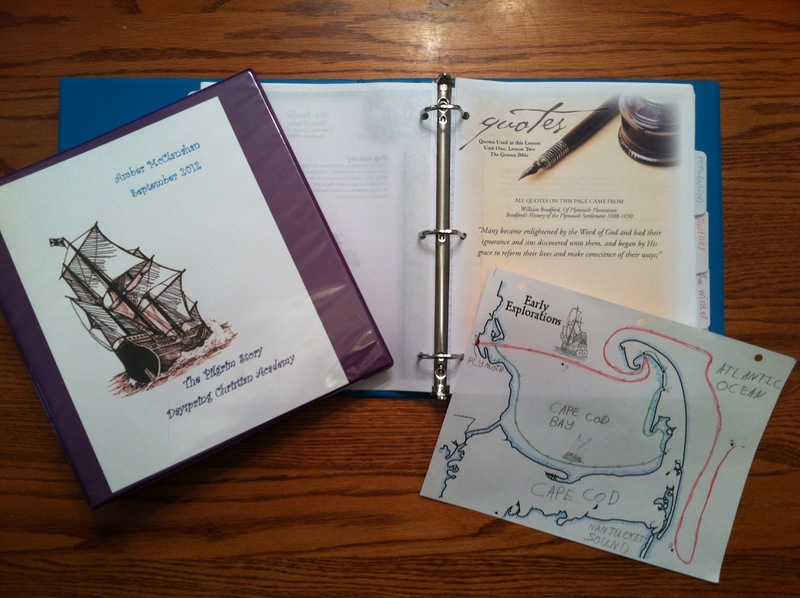 The student is told exactly what worksheets and supplies they will need for each lesson. The only part that is graded is the unit tests. The questions are read to the students and the information is given to them orally. During some of the lessons the student will have several items to learn about. In this lesson the student is learning about men and their jobs. After learning about Moses Fletcher the student is brought back to the main screen & they are told that they have more to click on. 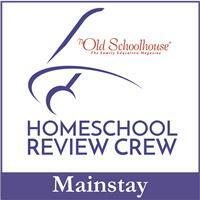 Included with the course are interactive lessons, crafts, recipes, map-making, and more. A couple of the interactive lessons allowed the student to move the Mayflower on its route, and add items needed for the journey into a trunk. 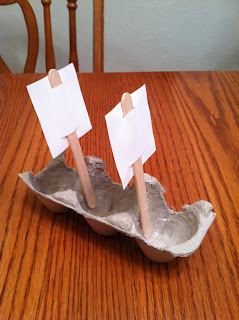 We made our own Mayflower out of egg cartons & drew the map so it could sail. We made hardtack and tomorrow the girls will make a pilgrim house. 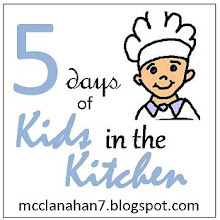 I have been using The Pilgrim Story with all three of my girls ages 7, 10, & 11. We are ready for lesson 3 in unit 4 & my girls are excited to build a pilgrim house. I had them all 3 sit together to work through the program. Some days it took a little longer to get through the lesson because it took Alaina (7) longer to fill in her worksheets. They have enjoyed the program so much that it is the first thing they want to work on after breakfast and bible study. Each day they took turns being in charge for the day, so they could each have a turn clicking on the answers to questions, and moving around in the program. It was very easy to navigate, and they didn't need any help getting logged in and finding where they needed to be. I have sat and watched the lessons with my girls and I am very impressed with the quality of the program. The lessons are very detailed and my girls love the format. It is very easy to listen and understand the speaker throughout the course. The worksheets and paperwork look very nice when they are printed. Combined with the maps and the essays my girls will all have a very nice looking notebook when they are finished. 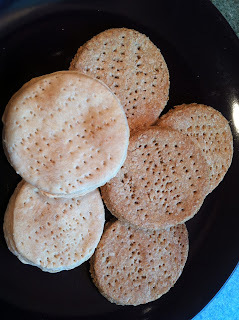 I like that the recipes, and crafts are fun but very inexpensive to make. There wasn't anything we disliked about this program, but it would be nice if there was a list of additional resources for the entire unit together. That way we could have printed that off & looked for all the books at the same time without having to go through each lesson. Dayspring Christian Academy is a school located in Mountville, PA, they teach a biblical Christian worldview using the Principle Approach. The educational foundation of the Principle Approach is the Bible, it teaches students to apply biblical reasoning to all areas of life. Mary Stauffer has taught third grade at Dayspring Christian Academy since 1994. She has led more than 20 guided tours of Plymouth, MA, and uses the words of our forefathers as found in primary sources to teach the Pilgrim story. She also lectures on the subject to the community and is passionate about teaching and preserving the truth of our nation’s past. 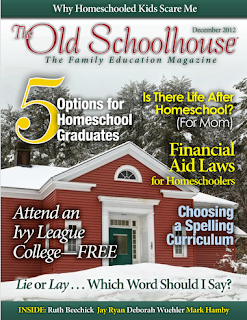 Disclaimer: As a member of the Schoolhouse Review Crew I received a 6 month subscription to The Pilgrim Story from Dayspring Academy to use with my children, free of charge, in exchange for my honest review.